Life is not going at all well for ten-year-old Pippa Morgan. Her best friend has moved away and her parents have decided to get divorced. Then she accidentally signs up to the school talent show in an attempt to impress the coolest girl in school. The only problem is Pippa’s singing sounds like a cat being strangled… Will things get any better for Pippa Morgan? 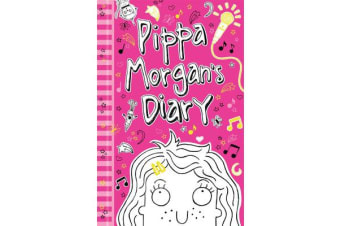 Read her super-secret diary to find out!